Discover the difference that freshly ground beans make to your coffee, with the Supreme Grind™ Automatic Burr Mill! 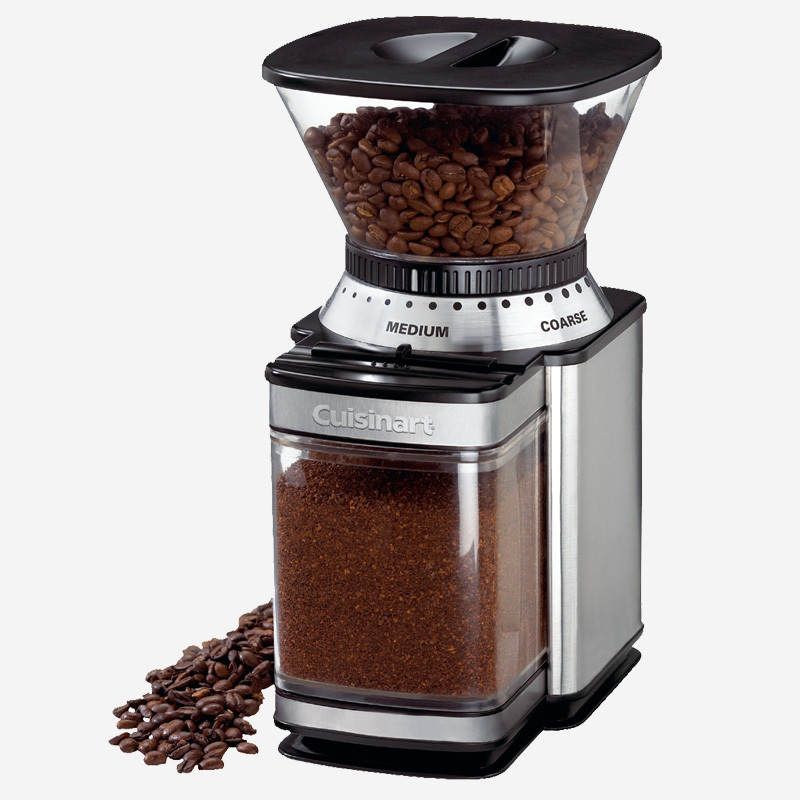 The elegant brushed stainless steel Cuisinart burr mill boasts 18 levels to grind your coffee beans, from ultra-fine to extra-coarse. With an automatic stop, your beans are guaranteed to be consistently ground to the right grade, maximizing the oils, aromas, and flavours for a better cup of coffee. Grind enough coffee to make 4-18 cups, and store any remaining grounds in the chamber. 6.00" x 7.13" x 10.75"